Iran revolution in 1979 was hijacked. Khomeini was the culprit. Thus a revolution which could result in, and be the source of peace, stability, and tranquility in the region, and a democratic government for its people went astray. The determining factor was “the leadership”. Now on the eve of Warsaw Summit, once again the world is focusing on Iran, facing another historic choice. To learn our lessons from history, this summit must focus on “the leadership” for Iran. 40 years ago the true leaders of the revolution, Mr. Massoud Rajavi, and other revolutionaries were enchained by the Shah’s regime so Khomeini got the opportunity to hijack the revolution bringing so much devastation to the world. But now the true leader of Iran’s new revolution which has paid the price of her honesty and has proved herself and her resistance to being candid and loyal to people and to peace and stability of the region, not in words but in courts, is at hand: Mrs. Maryam Rajavi and the coalition of NCRI (National Council of Resistance of Iran) that she leads. PROSCRIBED ORGANISATIONS APPEAL COMMISSION (POAC) ordered that Secretary of State lay before Parliament the draft of an Order under section 3(3)(b) of the 2000 Act removing the PMOI from the list of proscribed organizations in Schedule 2. On December 12, 2006, the court said the EU’s designation of the MEK (PMOI) as a terrorist group was unlawful because the Council had failed to substantiate its allegations of terrorism against the resistance organization. 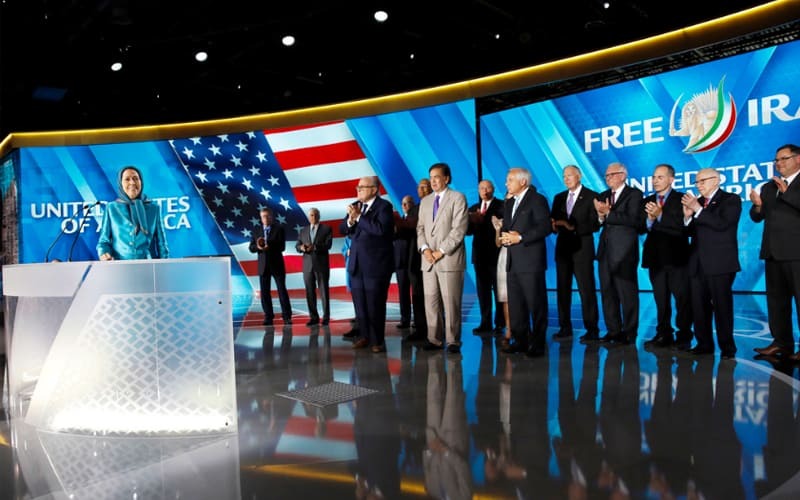 The MEK (PMOI) should never have been designated a terrorist organization and was listed as a FTO not because of any evidence, but as a means to curry favor with Iran’s clerical regime. Prior to the US delisting in 2012, the UK, France and European Union had removed the PMOI from their terrorist lists. Why should the Warsaw Summit recognize this leadership? If you don’t know her and her resistance just refer to the regime’s officials and hear them. In all their words they admit that their true adversary is Madam Rajavi and her resistance. And if you turn to the people, the growth of the Resistance Units, the members of the MEK/PMOI networks inside Iran, the revelations of regime’s atomic ambitions and its destructive missile program and … well shows the support that this resistance and its leadership is enjoying inside Iran. This resistance and its leadership not only enjoys the support of the Iranian people inside Iran but the Iranian diaspora abroad rely on it as the true alternative to the mullahs regime and show this in their support at various rallies and conferences in which many international officials and personalities also lend their support to her and the resistance under her leadership. Yet another sign of the support this leadership and her organized resistance are enjoying worldwide. As you will again witness in the coming rally of Iranian dissidents in Warsaw, simultaneous with the Warsaw Summit, the people of Iran and the world demand that you make the right decision. Don’t repeat your mistake again. Make the right choice, choose the right leadership and recognize her. In an effort to stamp an overwhelmingly popular pro-democracy movement,in summer of 1988, the vleical reime’s founder, Ruhollah Khomeini, issued a fatwa ordering that all the political prisoners who did not repent should be summarily rxecuted, without mercy. In order to advance its terrorist acts, the Iranian regime gives all the resources of the Iranian people’s wealth to their mercenary terrorists in Iraq and Syria, Yemen and Lebanon.